You have to check your carburettor for cracks. Please send me high detailed images of the cracks to consider if a restauration is still worth it and useful. It´s pointless sending me such bodies – the mezack has broken down. I always check BFL/R bodies for cracks, see example in picture. You find new ones in the price-list. Before you send off your carbs, take a couple of shots with a digi-camera for your protection and to avoid possible, later misunderstandings. After your carburetter system arrives here it will receive the following treatments. The carburetters are chemically cleaned, checked to original specification and then stripped. Bodies are checked for hairline cracks. Mezac (pressure-cast zinc) bodies can be aquipotential shielded-arc welded if damaged. Warning: Only after a succesful test can bodies be repair-welded! Screws, levers, springs etc. are mechanically repaired, i.e. re-welded and fettled to original specification. Floats are checked for leakage. Damaged floats are replaced at extra cost. Electromagnetic and pneumatic valves are checked and painted or damaged ones are replaced at extra cost. Pictures of typical repairs you can see on this page: Typical Repairs. Static parts are bead-blasted carefully with very fine (150-200μm grade) mix, and then ultra-sonic cleaned. When a set-up is restored, I can also offer the possibility of having small parts zink bright-plated which gives an optimal surface-protection and optically pleasing, as original. These may be plated in blue (white ) or yellow - check price-list. 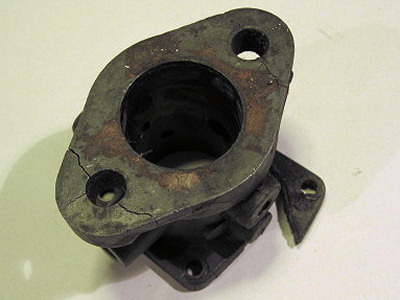 Cast-iron butterfly-housings are black-bright zinc-plated after bead-blasting, to ensure permanent rust-protection. All ferrous parts are newly bright zinc-plated on option. Actuating drives/shafts are overhauled (SU), excepting worn ball-heads, cups and fork ends. For an extra offer please contact or check the pricelist. Mating surfaces are skimmed to ensure best sealing and tensionfree assembly. Throttle- shafts and bushes are replaced. An important step to stop the ingress of false air i.e. weak mixture, therefore overheating. Unwanted axial play is equalized by the use of special shims. With some types, oversize shafts can be used, with others, larger bushes made of lead-phosphorbronze with an integrated "O"-Ring that guarantees air-tightness. To reduce wear in a markable way the shafts are highly polished and hard-chrome plated by which they are virtualy wear-free. There is also a very low friction rate due to the extremely hard, smooth surface, which, obviously leads to feather-light operation. This surface treatment is worldwide uniquely used only by BOB. The carburetters are re-built to original specification- all gaskets, seals and wearing parts are checked and replaced. 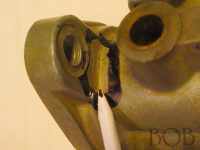 Missing parts are found or reproduced to pattern, generally by wire-spark erosion. Any worn ball-heads and cups are replaced. Also complete linkages and spindles can be overhauled to ensure optimal synchronizing. 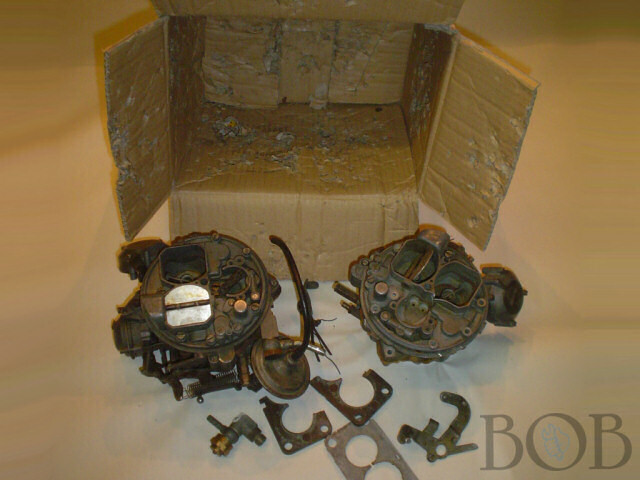 All carburetters are pre-set, functionally checked and delivered to assemble. Some carburetters are gas-checked on a specialy built flow-bench. Maximum flow-rate is checked at 2,5 kg/h, air valve closed. Further the fuel-level, accelerater-pump injected amount (manufacturers specification) are checked. A tolerance of 0,5 kg/h is allowed between the throat on twin-choke carburetters. Occasionaly it´s quite possible that the newly re-furbished carb won´t run. This has nothing to do with the basic construction of the carb, rather with the size of the jets (Solex and Zenith), or the needle shape (SU and Stromberg). Incorrect jetting can sometimes give completely differant results. Through customer feed-back, original manufacturers lists or pattern, I try to get the optimal running characteristics, but this does not always succeed – has a standard camshaft replaced the worn one during the last engine overhaul, is the distributor absolutely the correct one for this engine or is there another serious reason why the engine doesn´t run well? Through dialog with the experienced fitter who is setting up the system, I´ll find out which must be altered and I´ll send then, free of charge, replacements for the system. Simply send back the old jets/needles. Please note that it might be the case that several jets must be tried out before things are perfect – as mentioned, no costs entail. After this you recieve Carburetters that are better than new. Please remember even a freshly reconditioned carburetter that´s been correctly jetted, may have to be fine-tuned by a competent mechanic. Not all engines are the same and were standard parts used during the last engine overhaul? Generations of car mechanics have been working on your car - has anything been modified? Another distributor or similar? All these will affect smoothe engine running. If your German´s passable, read the reports in "Oldtimer Markt" under publications for valuable hints.